What are you doing this long holiday weekend? Many of us do our best to get outdoors over Memorial Day weekend– from camping, hitting the beach, working in the garden, to my personal favorite, having a picnic. A meal enjoyed outdoors just seems to taste better, somehow! Whether you’re firing up the grill or dusting off the picnic basket and spreading out a cozy blanket, there are so many ways to bring style and fun to your outdoor celebration. I love everything about this scene, especially the creative use of the half wine barrel as an ice chest! 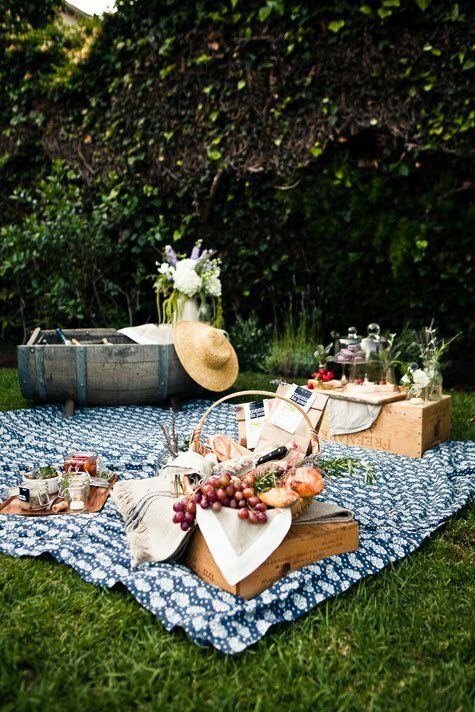 Picnic-inspired wedding? Yes, please. Check out the Save-the-Dates! Love the color scheme, and the blanket. Rugs and Pillows? Genius! The lanterns are great, too. A Hammock is ALWAYS welcome! Might have to eat these right away! Deviled Eggs never go out of style. So many great ideas out there to inspire easy summer livin’! 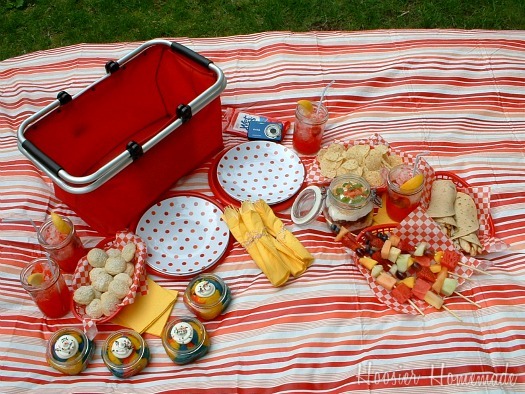 There is no better time to start than this weekend, happy picnicking!